Interest and media attention in Gabrielle Hamilton's Blood, Bones & Butter: The Inadvertant Education of a Reluctant Chef is, shall we say, coming to a boil. Today's article in the New York Times, "A Chef’s Life, With Scars and All," was rather delicious, even sensational. Notably, it was the second article in the paper on the author and her now bestselling book. The first article, a rapturous review by Michiko Kakutani titled "Remembrance of Flavors Past," appeared back on February 24th. One thing that stood out in today's article was the fact that this new release is already in its third printing. It's that popular. It's that good! Happily, we have a small but quickly dwindling supply of first editions. 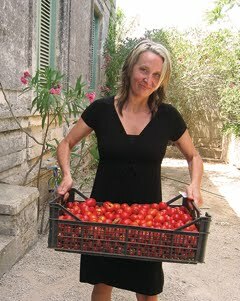 That's because we're doing an event with Gabrielle Hamilton on March 10th at the Left Bank Restaurant in Larkspur. Ticket's are not cheap, but they are also well worth it. The ticket price (at $100.00 per person, or $170 per couple) includes the meal, wine, coffee, tax, tip & a signed copy of the author’s book. For additional information or to purchase a ticket, please follow this link. 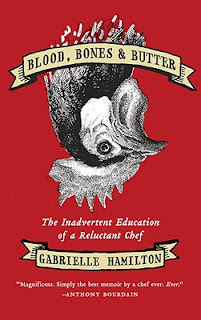 If you can't attend this very special event and would like to order a signed first edition copy of Blood, Bones & Butter: The Inadvertant Education of a Reluctant Chef, simply follow this link and indicate "signed 1st edition" in the comments field of your order. Meanwhile, here is what others have said about this exceptional new book.